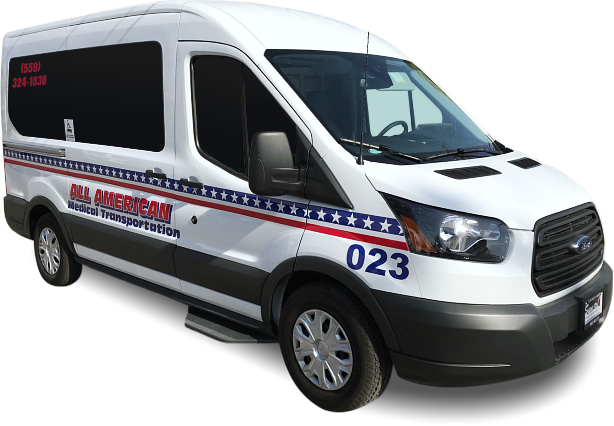 Our fleet of vans is capable of accommodating passengers according to their transportation needs. The following mobility equipment can fit inside our vehicles too. 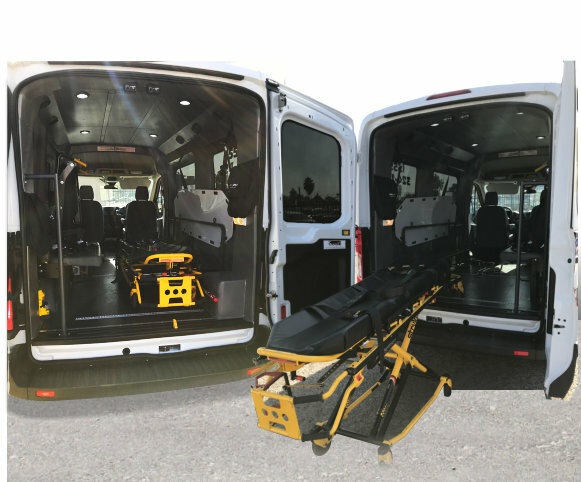 Our vans are equipped with state-of-the-art lifts for those who require wheelchair access. You also get to experience safe and secure boarding with our rear-mounted chair lifts. Platform Gate – keeps wheelchair from rolling while boarding. Handrails – feel secure with easy grip handrails. Security Strap – with a security strap for extra insurance, you can board without anxiety. 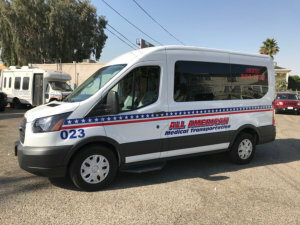 All American Medical Transportation commits itself to providing you with fast and reliable non-emergency transportation. For inquiries, please contact us at 559-324-1038.